Keep a lookout for specially marked Pillsbury Pizza Pops boxes for a new Free Product Coupon! 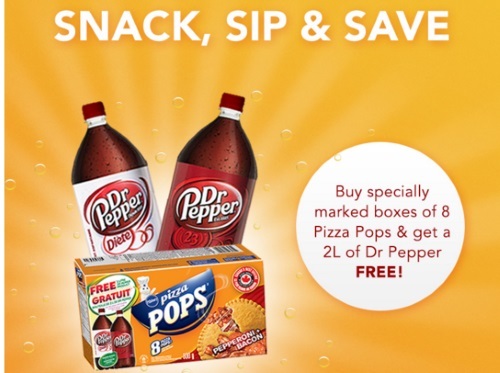 When you buy specially marked boxes of 8ct Pizza Pops you can get a Free 2L Dr Pepper. Cut out the coupon on the side of the box and bring it to the cashier on your next visit to redeem for the free product. Coupon expires July 31, 2016.